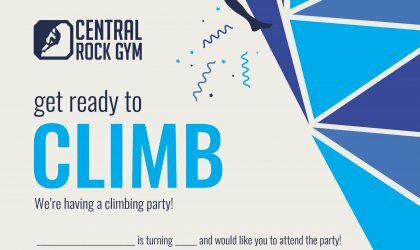 Birthday parties at Central Rock Gym are a great way to relax for 2 hours while your kids and 8 to 30 of their friends, or you and your friends, reach new heights on our climbing walls. From start to finish, birthday parties at Central Rock Gym are filled with climbing, obstacles and games! Our dedicated staff works hard to make sure every child has a fun-filled experience! Our party room has the perfect mix of easy and challenging routes – meaning everyone attending the party is sure to have a great time! All participants will be raving about the event for weeks after it’s over! • Price: Minimum payment of $240 for the first 8 climbers. Each additional participant is an added $15, up to 30 participants. You may have less than 8 participants; however, you will still be charged the minimum amount. 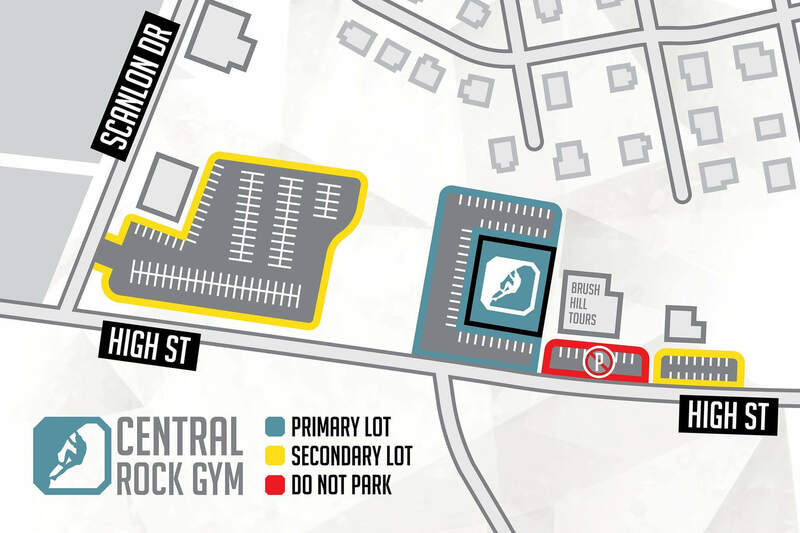 Food: Food and drinks are not provided by the facility, but we do have a fridge/freezer and can accommodate any food you decide to bring to the party. Party Favors: Each participant will receive small goodie bags.